If you've ever fancied really getting away from it all, forget exotic beaches or desert islands: volunteering in Mongolia on our Nomad Project is the thing for you! Forty per cent of the population of Mongolia are from Nomadic families; people who wander the endless steppe on camels or horses, with their livestock. Sign up for our Community Nomad placement and you'll join a group of Mongolian Nomads and experience a way of living that has barely changed in a thousand years. Our Community project in Mongolia is a unique volunteering opportunity; working and living with some of Mongolia’s Nomads allows you to learn about a unique group of people and their ancient way of life through your own personal experiences. It is also a good opportunity to gain experience of looking after animals such as goats, cows, yaks and horses. Volunteers live with a family in large round tents known as Gers which are surprisingly cosy and comfortable. Your daily life may include riding horses to move herds of yaks or cattle, caring for livestock, helping to produce dairy products such as butter and cheese and maybe teaching a little English. It is a great way to learn more about this ancient way of life and how it is being affected by modern-day Mongolia. In exchange for helping with the animals or playing with the children, your host family will fully involve you in their domestic life. Volunteers with an interest in sports will find themselves very popular if they join in with games of basketball and volleyball. You can get to know your Nomadic family better by playing traditional Mongolian games, teaching some English and perhaps learning a bit of the Mongol language. In addition to this, you are sure to get involved with the milking of the livestock. 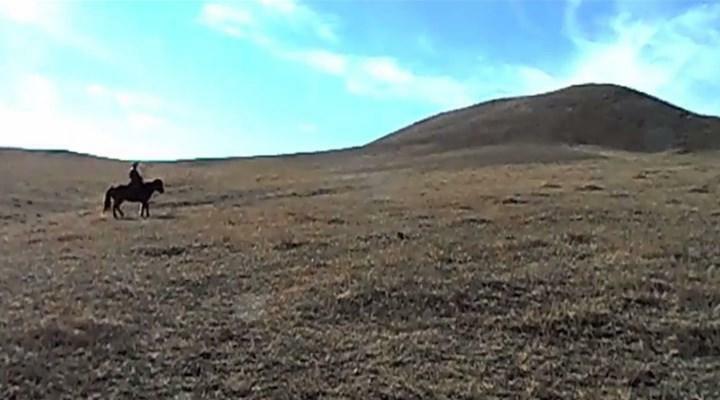 And all the while you will be enjoying the spectacular scenery of the Mongolian Steppe. "This placement has been out of this world. I've spent my time collecting wood and water, been camel riding on several occasions, done some English teaching, played in a local basketball competition and many more things. This place is the greatest and I wish I could have stayed longer!" You can join the Nomad project in India for two or three weeks if you don't have time to join us for four weeks or more.This project has been selected by our local colleagues as being suitable for short term volunteering for both the host community and the volunteer. Although you will gain a valuable cultural insight and work intensely within the local community please be aware that you may not be able to make the same impact as someone volunteering for a longer period.